A Comprehensive Magnesium Blend with The Addition of Malic Acid, D-Ribose, Amino Acids, Vitamins and Minerals to Support Magnesium Levels in the Body. Magnesium supports general health as it is a cofactor for more than 300 enzyme systems. 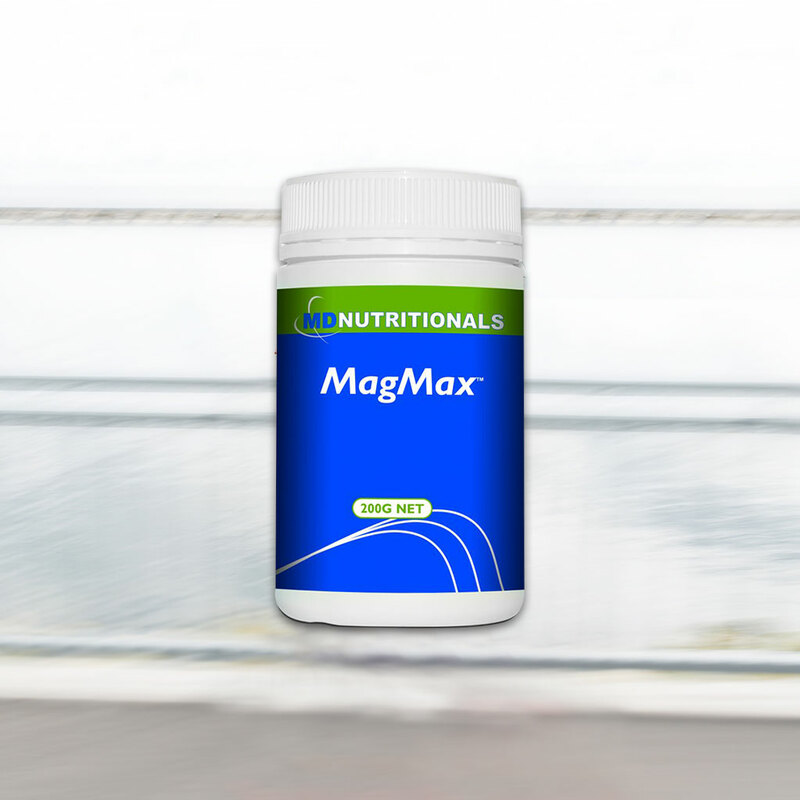 MagMax™ features a comprehensive blend of magnesium to support cellular uptake. (Magnesium citrate, magnesium diglycinate, magnesium chloride, magnesium orotate, magnesium ascorbate, magnesium chelate and magnesium aspartate). UltraSweet™ (oligofructose, xylitol, tapioca maltodextrin, glycine, steviol glycosides from certified organic Stevia leaf, silica colloidal), natural lemon and lime flavour, Silicon dioxide, Choline, Nicotinamide (B3), Riboflavin (B2), Molybdenum, Biotin and cyanocobalamin (B12). Contains no gluten, corn, soy, dairy, yeast, wheat, animal products, artificial flavours, sweeteners, colours or preservatives.